There are over 227K small businesses in Utah, employing over 46% of the workforce. 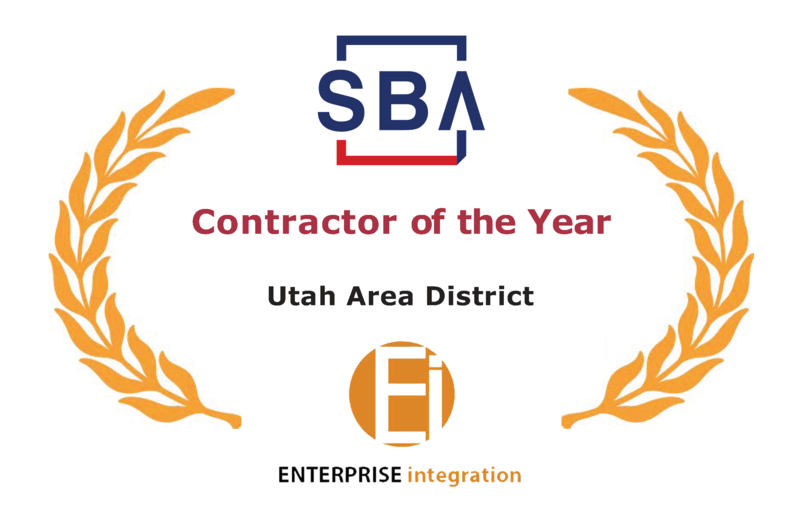 It is very humbling to be selected to receive the prestigious Utah District U.S. Small Business Administration (SBA) Award for the Contractor of the Year. We will be recognized at the 2019 Small Business Awards Ceremony and Luncheon on May 9, 2019 from 10:45 AM to 2:30 PM at the Utah Museum of Fine Arts. We wouldn’t be able to do what we love to do without our trusted clients, contracts and friends! Thank you for a very fun evening with great food, fun and conversations, if you weren’t able to make it we’ll be doing these events quarterly! EI Founder, Hits a Hole-In-One – Congratulations Deborah! In partnership with UTC, Enterprise Integration has put together an engaging luncheon for the top security executives in Utah to discuss their Cyber challenges. Topic: Managing the RISK of Insecurity, Guarding Businesses from Today’s Cyber Attacks & Utilization of Technology in Today’s Digital Enterprise. Enterprise Integration, Ei, in partnership with Armis, draws on decades of enterprise security experience to lead organizations to an agentless Security Platform that lets enterprises see and control any device or network! Today there are eight billion IoT devices growing to more than 20 billion by 2020. Contact us to help you discover the hidden device on your network with a free IoT audit. Enterprise Integration, EI, sponsored the 3rd Annual Firemen and Kids BEAR HUGS Golf Tournament at Oak Ridge Country Club on Monday, July 31rst, 2017! Our team included Zion’s and ReMax Masters local participants as contributors to this charity event and players. Larry H Miller 2017 Silverado Chevy Truck. More importantly, the proceeds from this tournament take under privileged kids Christmas shopping. 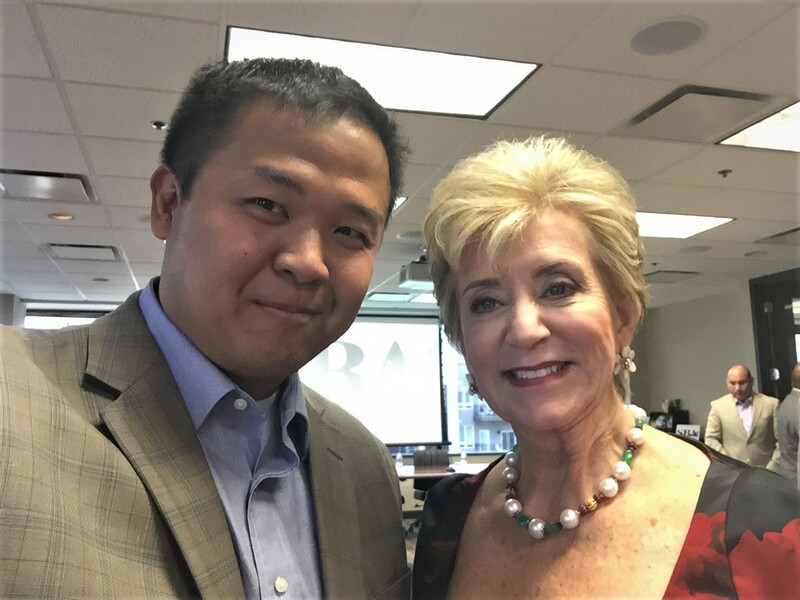 Sammy Fan, principal of Enterprise Integration was honored this morning to meet with Linda McMahon, Small Business Administrator. Ms. McMahon, co-founder of World Wrestling Entertainment and a promoter of women in business, stopped in Salt Lake City as part of her two-year “Ignite Tour” to visit all 68 of the SBA’s district offices around the country. Zions Bank Speaking on Business. Basically, business drives our economy. And Deb Hoffler (hoff-lure), founder and principal of Enterprise Integration, says today’s global market means major changes in technologies, which equate to big business. Through her relationship with Hewlett Packard Enterprise over the last couple decades, it’s no wonder she’s a provider of choice with one of the biggest brands in American business. Her mission is to help you with your Business Intelligence, from cradle to grave. Enterprise Integration is a tech solutions provider who resales software, hardware and related services for Data Center, Business Intelligence and Cyber Security. Deb says they work with clients to help them see where the vulnerabilities exist in their business structure, then, Deb and her team offer solutions. One of the hottest parts of the business and their newest at Enterprise Integration is data encryption, through a software from Hewlett Packard Enterprise called Voltage, SecureData. It’s new, it’s different and it’s federally certified, so you know your data is safe, especially working with a company like Hewlett Packard, which gives instant credibility. Deb says they’ve done work for major players in Utah like Convergys, eBay and Barrick Gold. They also provide cyber security events at the Sundance Film Festival, which has become an important annual event for Enterprise Integration to partner with HPE Cyber Security Software teams. Check them out online at eiutah.com. ICARUS – Documentary Russia, dirty urine, unexplained death and Olympic Gold-exposing the biggest scandal in sports history. at this year SC16 event running at the Salt Palace Convention Center all week! and CLE event held Friday, October 21st. Ei and HPE is proud to sponsor and present at the 10th Annual Information Technology & Cyber Security Day at Hill AFB hosted by the Armed Forces Communications & Electronics Association (AFCEA) – Wasatch Chapter. This annual event is an excellent way to network with key personnel including IT, Communications, Cyber, Engineers and Contracting Officers’ at Hill AFB. This event will feature hands-on exhibits, cyber sessions for CPE/CEU Credit, samples and force multiplying IT solutions. EI and HPE is also sponsoring a table at this year luncheon featuring guest speaker Lt Gen (Ret) William Donahue. General Donahue is a leader in the Information Technology field, following a prestigious 33 year Air Force career and continuing in industry leading many initiatives in the fields of technology solutions, support services and space systems for the Air Force. 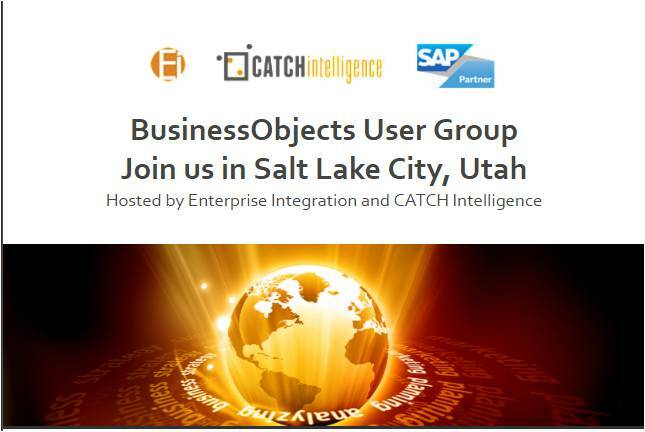 At this User Group, you will gain insight and lessons learned from other BusinessObjects users to help save your organization time and money, as well as connect with other BusinessObjects users in your region! Our goal is to help organizations improve their business performance. Together, they leverage the latest technology to capture valuable information, solve business problems efficiently, enhance processes and reduce costs. Enterprise Integration is made up of marketing and engineering experts with years of experience, IT training and certifications focused on helping clients use leading IT products and services to solve business problems. CATCH Intelligence offers a broad range of services and solutions with expertise in all areas of business intelligence including SAP® BusinessObjects®, SharePoint® and more. 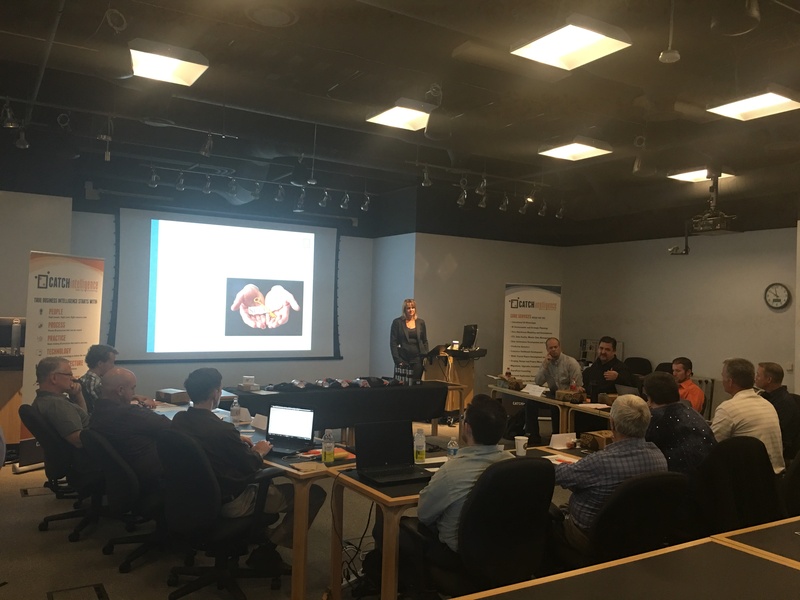 Join us at our Aruba Workshop in Salt Lake City! The digital workplace is coming. Is your network ready? Come find out what it takes at our Aruba Workshop! Exclusive HPE Aruba Workshop brought to you by local partners – EI, Enterprise Integration and Greenlight Group. We will show you how the Aruba portfolio can improve your wireless environment along with software tools that improve network management and secure access control. Enterprise Integration is proud to sponsors the 6th Annual 2016 HPE Government Summit. Please join us for this one day event to learn more about how to accelerate success through IT transformation. You will hear from Dr. Madeleine Albright, former Secretary of State, and Michael Durant, former US Army Officer and co-author and inspiration for Black Hawk Down. Explore our nine-track agenda, encompassing all transformation areas of Transform, Protect, Empower and Enable. Plus an additional vertical track dedicated to Defense Healthcare. These nine tracks will include industry speakers from IRS, FBI, DHA, Accenture and many more throughout the 35 breakout sessions. On Friday, January 29th, EI, HPE Security & MKA Cyber hosted 60+ guests at our second annual Sundance Film event. Our keynote speakers Tammy Schuring, HPE VP of Worldwide Data Security & Mischel Kwon, President of MKA Cyber and former Security Officer of US Dept of Justice, provided proof to business executives to make IT Data Security a TOP priority and HP Security Voltage can provide organizations end-to-end data protection in 60 days or less! 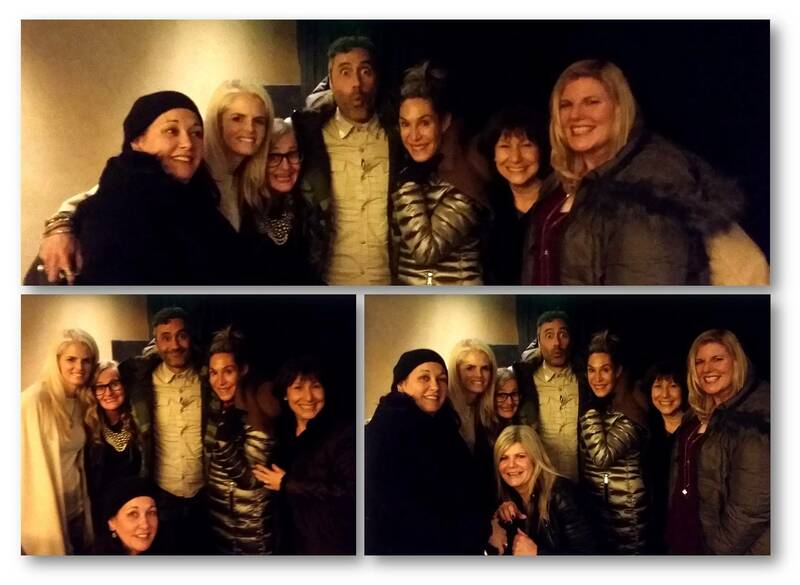 Our guests enjoyed a hit Sundance film in the Egyptian Theater, The Hunt of the Wilderpeople, produced by filmmaker Taika Waititi, who directs What We Do in the Shadows, Thor 3. EI, an HPE Security Business partner would like to be your LOCAL IT PARTNER of CHOICE in applying data security technologies to bridge the gap between strategy and success in your organization! The estimated global loss from cyber crime is $575 billion annually. Please join us for a seminar with Tammy Schuring, HPE VP of Worldwide Data Security Sales and Field Operations, and Mischel Kwon, former US Department of Justice CISO and Director of USCERT, as we discuss why enterprises must have a complete data protection strategy. Attendees of this event are welcome to join us for a private screening of a premier film sponsored by Hewlett Packard Enterprise at the Sundance Film Festival after the event concludes. Please RSVP if you are interested in attending. Join us in honoring Utah’s best at UTC’s 2015 Hall of Fame Celebration! Enterprise Integration and HP ESP is proud to sponsor a table for ten at Utah Technology Council’s annual Hall of Fame event. This is UTC’s largest fundraiser, honors individuals with Utah ties who have made global contributions to the industry through new technology, innovation and leadership. This is a black-tie-invited event, with a captivating keynote address from Jeff Weiner, CEO of LinkedIn. 2015 Hall of Fame inductees are: Senator Orrin G. Hatch, Gretchen W. McClain, and Will West. The UTAH TECHNOLOGY COUNCIL is the state’s premier professional association for over 5,000 high tech, clean tech and life science companies, representing nearly 10 percent of the state’s total payroll. At its core, UTC exists to help GROW AND PROTECT businesses by creating VALUABLE CONNECTIONS with members and others who offer peer experience and advice, by addressing the serious TALENT SHORTAGE faced by member companies and by assisting them to gain ACCESS TO FUNDING. Members join UTC to share insights with industry peers, counsel with government and K-20 academic leaders and receive expertise from professional service providers. Learn more at www.utahtech.org. “Make 2016 Your Best Year Yet ….As Defined by YOU!” Illuminate was created to be a vehicle for personal empowerment for women. Illuminate’s summits and socials will provide experiential learning from women who have walked the path you are on. EI is proud and excited to be a part of such a wonderful organization that celebrates and honors women! EI is proud sponsor and present the key note speaker, Rob Roy, CTO, Hewlett Packard Enterprise Security, at the 9th Annual Information Technology & Cyber Security Day at Hill AFB http://www.fbcinc.com/e/afceawasatch/ hosted by the Armed Forces Communications & Electronics Association (AFCEA) – Wasatch Chapter http://wasatch.afceachapters.org. This annual event is an excellent way to network with key personnel including IT, Communications, Cyber, Engineers and Contracting Officers’ at Hill AFB. This event will feature hands-on exhibits, cyber sessions for CPE/CEU Credit, samples and force multiplying IT solutions. Please join EI and HP as we work together to help you better secure your organization. No one knows more about security flaws than bad guys. They trade secrets day and night with a single-minded purpose: winning. Your applications, information, networks, and online payments are all at risk. To succeed today, security professionals have to think just like them. Take advantage of a complimentary Software Security Assurance (SSA) demonstration and workshop using Fortify and WebInspect. Fortify and WebInspect will help you reduce or eliminate security risk in software by identifying exploitable vulnerabilities in application source code, instructing developers on how to fix the vulnerabilities, and preventing their re-introduction. Deborah Hoffler, Principal at Enterprise Integration was a keynote speaker and featured in Ogden’s HillTop Times. EI is sponsoring an upcoming 5K race at the University of Utah. More information coming soon.